Children are a vital part of who we are as a faith community. At Epiclesis, we welcome the active participation of children and youth of all ages in our intergenerational worship services. We believe that kids and adults have much to learn from each other. Just as Jesus welcomed children, we love having kids meaningfully involved with families in worship as we all grow together. We believe that families should worship together so that children will learn they are an important part of something much bigger. We believe that integrating all ages in worship is essential to the healthy spiritual development of the entire worshiping community. We want children to grow up learning to tell God’s Story with others. 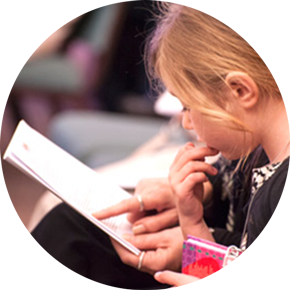 We believe that telling God’s Story resonates with all age groups. We want children to know and understand the importance of the holy sacraments (i.e. baptism, Table). We want our children and adults to interact with one another in love and grace. We recognize that we have much to learn from our children and that we are not whole without them. 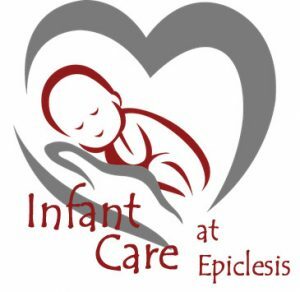 Is there care for infants and little ones at Epiclesis? Yes! 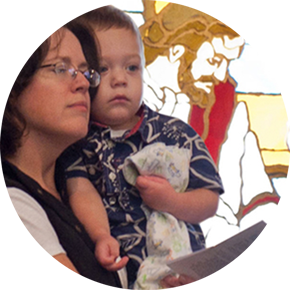 We offer expert care in a loving environment for infants (through age 3) during the worship service. Sometimes moms and dads want their infants with them in the worship service-- and they are welcome! We are an intergenerational body of believers and welcome children of all ages in worship. Other times, moms and dads need a break or want to worship without their very little ones present. So we provide expert, safe, and loving care for infants (through age 3). Our professional staffer and her caring assistants are wonderful caregivers for infants! Is there something for older kids, too? Yes! EpicKids is an interactive, concept learning time for grades 1-5 and takes place during the teaching component of worship at Epiclesis. The program compliments the biblical texts and themes for each week so families can share what they experienced and learned after church. Sometimes parents want their school-aged kids to be with them during the entire worship service-- we embrace children of all ages worshiping with us. Other times, moms and dads are looking for specialized teaching for their elementary-aged children. 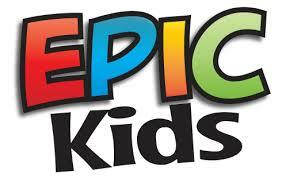 EpicKids is for students grades 1-5 and takes place during the teaching, or sermon, on Sunday mornings. Kids come back to worship in time for communion with their family. The program is written and monitored by our pastor for intergenerational discipleship and is led by Epiclesis young adults.